Although WRAS signed on the air on January 18, 1971, its roots reach back to the mid-1960s, when Georgia State University was known as Georgia State College. Very little is known about our first radio station, except that there was a small studio in a former classroom in Sparks Hall, and we used the frequency of 103.3 FM, now known as V103. The owner of 103.3 FM, what was then WPLO-FM, knew they couldn’t turn a profit with an FM station in Atlanta at that time, so they let us use it. During the WPLO FM days, we were said to have aired a mix of music, interviews, and news on a limited air schedule. When FM stations in San Francisco, New York and other major markets started making money in the late 60’s playing Woodstock era rock, the owners of WPLO-FM notified Georgia State that our use of the frequency would be terminated. On November 12, 1969, Georgia State University (which had been given University status on September 10, 1969) filed with the FCC for a station at 88.5 FM. The FCC granted a construction permit for WRAS in February, 1970 to operate at 19,500 watts, with two small studios in the current University Center, then called the Student Center. The antenna on leased tower space on the grounds of WABE, near the intersection of Piedmont and Cheshire Bridge roads. This antenna site was on high ground and gave us excellent coverage of metro Atlanta. Our Chief Engineer, Harvey Morris, with the assistance of Butch Foster and Jim Gantner, did an excellent job in engineering the station, and gave us a sound so good that we were often the station used to demonstrate “hi-fi” stereo equipment in audiophile retail stores. The station even aired Atlanta’s first live “Quadrophonic” broadcast along with WREK in 1974, using a short lived technology which gave the listener two front and two rear channels of sound. WRAS quickly earned and maintained the reputation of being one of the most influential and professionally run student stations in the nation. At no time was this truer than in the first three years of the station’s existence. Beginning with the first student General Manager, Richard Belcher, now with WSB-TV, expectations were high. While most other college stations had poor training, sparse technical facilities and little knowledge of programming, Georgia State students produced a progressive sound so popular that it influenced format decisions down the dial at the commercial stations as well. When easy listening station WKLS was sold in 1974, the new owners chose album-oriented rock rather than top 40 largely on the success of WRAS and visits by their consultants to Georgia State University to see how the students were programming music. The success of 96 Rock, WRAS, and WQXI-FM spelled the end of an era for WQXI-AM, which had dominated the market for young listeners through the Beatles era. The effects of the popularity of WRAS were felt again in the 1980’s as the “new music” genre developed. Atlanta first heard the Go-Go’s, Sade, Run-D.M.C., Men at Work and many other artists first on 88.5. The diversity and popularity of the playlist was a source of irritation to the commercial stations, especially Z93, 96 Rock and V103, who could no longer claim they were breaking many of the hottest new artists. After Album 88’s power increase to 100,000 watts in March of 1987, most of the population of North Georgia could now hear the signal. The New Music genre grew and changed in the 80’s until, in October of 1992, a commercial station cashed in on the opportunity to claim this new musical territory. After an awkward beginning, 99X eventually became one of the country’s most respected alternative stations of the 1990’s, building upon the artists made popular by Album 88. In the 90′s, Atlanta radio listeners were able to hear several more FM stations due to changes in federal limits on interference. 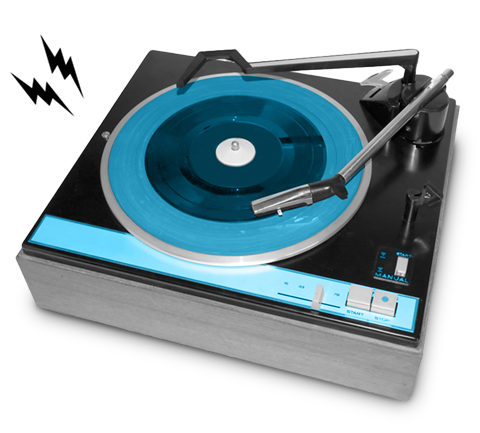 This allowed formats such as pop jazz, hip hop, new country, soul, and talk to compete for listeners. As it had throughout its history, Album 88 adjusted its sound again over the decade to remain an alternative to commercial offerings. The trend was toward a more alternative mix of artists and sounds which were not being exposed on other Atlanta stations. And Album 88 continued to win recognition and awards, as it always had, from listeners and the music industry. Its student staff continues to move to commercial radio and television positions with regularity, as well as many other professions. As the station progresses through the first decade of the new millennium, the next technical goal for the station will be the transition to in-band on-channel digital radio, being marketed as “HD Radio”. The new technology promises several advantages, including reception free from interference and offering very wide stereo separation.